Gregory Ciotti is the marketing director at Help Scout. This post originally appeared on the Help Scout blog. Utilizing smart pricing strategies when selling your wares—be they products, services or subscriptions—is a must if you want to succeed in a competitive marketplace. The worse thing you can do is to try to wing it when it comes to pricing… yet this is a mistake I see many entrepreneurs making. Here’s a look at some fascinating studies in behavioral economics that paint a clear picture of how you should properly set your prices—without the guesswork. When we last discussed building a website customers love, I mentioned the importance of limiting choices to avoid “action paralysis.” As it turns out, too many options can be demotivating to consumers. Since this is the case, you would expect that having identical price points for multiple products would be ideal, right? However, according to new research from Yale, if two similar items are priced the same, consumers are much less likely to buy one than if their prices are even slightly different. In one experiment where researchers had users choose to buy (or pass and keep the money) two different packs of gum, only 46 percent made a purchase when both packs were priced at 63 cents. Conversely, when the packs of gum were differently priced—at 62 cents and 64 cents—more than 77 percent of consumers chose to buy a pack. That’s a huge increase over the first group! The solution here isn’t to set all of your identically made vintage T-shirts at variable prices for each color. Rather, you should recognize the psychology of what’s happening. When similar items have the same price, consumers are inclined to defer their decision instead of actually taking action. So when you have items that are similar but with different features (for example, a crew-neck shirt and a V-neck shirt), you should consider testing sales by changing their prices so that they are slightly different from one another. What’s the best way to sell a $2,000 watch? Right next to a $10,000 watch! A common cognitive bias called anchoring is the culprit here. Anchoring refers to the human tendency to rely too heavily on the first piece of information offered when making decisions. This bias is why a $2,000 watch almost seems like a bargain next to a more expensive watch, but would seem like a super-premium purchase when placed next to a $49 Timex. 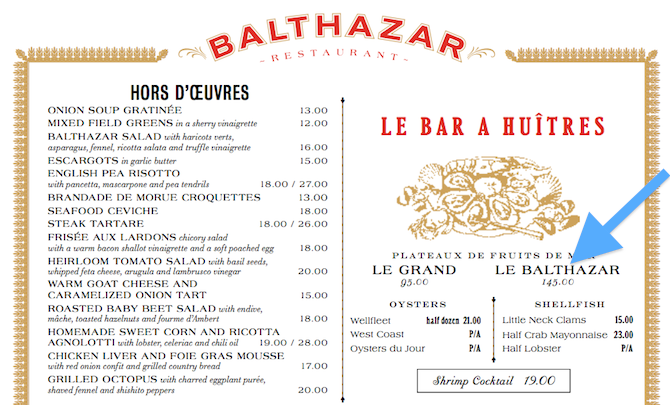 This tactic is often used in restaurants, where expensive items are placed on the fringe of the menu to make other items look cheaper by comparison. In a pricing study evaluating the effects of anchors, researchers asked subjects to estimate the worth of a sample home. Pamphlets provided to the subjects included information about surrounding houses; some had normal prices and others had artificially inflated prices. The results: Both a group of undergraduate students and a selection of real estate experts were swayed by the pamphlets with the higher prices. Anchoring even worked on the professionals and had an influence on what estimate they gave the house! By placing premium products and services near standard options you can create a clear sense of value for potential customers, who will then view your less expensive options as a bargain in comparison. According to a principle known as Weber’s law (sometimes called the Weber–Fechner law), the just noticeable difference between two stimuli is directly proportional to the magnitude of the stimuli. In other words, a change in something is affected by how big that something was beforehand. Weber’s law is often applied to marketing, and particularly to price increases for products and services. When it comes to price hikes, the magic number seems to be somewhere around 10 percent, since that difference is typically not noticed by consumers (or is noticed but accepted) and isn’t likely to stir up many customer complaints. 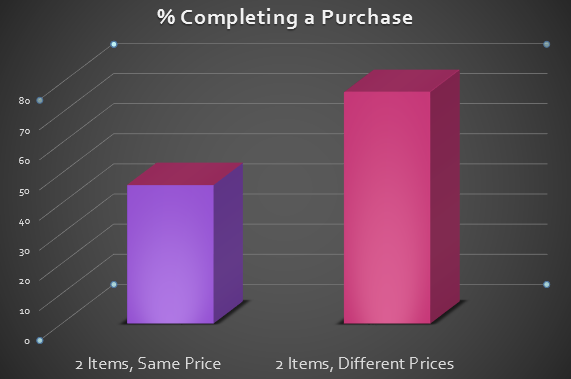 It’s important to note that many variables can have an effect on pricing. These include foundational elements like supply and demand as well as constructed elements such as your business’ authority, reputation and ability to inspire brand loyalty. Weber’s law serves more as a testing guideline than an ironclad rule that you must follow. But for many price hikes, the law should serve as an underlying number to begin testing. According to neuroeconomics experts, the human brain is wired to “spend ’til it hurts.” We’ve shown you before how that affects the types of buyers your business it likely to attract. Recent research from Carnegie Mellon University (CMU) has revealed quite a few ways businesses can reduce these pain points in the purchase process and, in turn, increase post-purchase satisfaction and retention. Reframe the product’s value. It’s easier to evaluate how much you’re getting out of an $84/month subscription than a $1,000/year subscription, even though they average out to around the same cost. Bundle commonly bought items. Neuroeconomics expert George Lowenstein notes the LX version of car packages as a great example of successful bundling. It’s easier to justify a single upgrade than it is to consider purchasing the heated leather seats and the navigation and the roadside assistance individually. Sweat the small stuff. In another CMU study, trial rates for a DVD subscription increased by 20 percent when the messaging was changed from “a $5 fee” to “a small $5 fee,” revealing that the devil really is in the details. It’s either free or it isn’t. “Free” is a very powerful word, as proven in a case study discussed in Dan Ariely’s book Predictably Irrational. In the example, Amazon’s sales in France were drastically lower than all other European countries. The culprit was that French orders had a 20-cent shipping charge tacked on (versus a free one in the other countries). It’s best to not nickel-and-dime small charges; they could be drastically reducing conversions. Testing these methods is a great way to begin eliminating those frustrating pain points that may be hurting your sales. Ending prices with the number 9 is one of the oldest pricing methods in the book … but does it really work that well? According to research from the journal Quantitative Marketing and Economics, the answer is a resounding yes. Prices ending in 9 were so effective they were able to outsell even lower prices for the exact same product. In comparing the prices $35 versus $39 for women’s clothing, the study found that the prices ending in 9 were able to outperform the lower prices on average by over 24 percent. For a split second while reading the study, I thought the number 9 might have met its match. Sale prices—“Was $60, now only $45!”—were able to beat out the number 9. But my feeling didn’t last for long. Was $60, now only $45! Was $60, now only $49! … the bottom sale price outsold the top one, even though it was more expensive. Ignore the power of the number 9 at your own risk! Why would a bargain beer company like Miller Lite ever choose “It’s Miller Time!” for their company slogan? For a business that you know does massive amounts of testing for its advertising, this seems like a foolhardy choice … shouldn’t they be emphasizing their reasonable prices? According to new research published by Stanford University’s Jennifer Aaker, reasonable prices would actually be a terrible benefit to market. Her study shows that consumers tend to recall more positive memories of a product when they are asked to remember time spent with the product over the money they saved. In a discussion published by the Wharton Business School, Aaker notes that many purchases tend to fall in either the “experiential” or “material” categories. Business owners should adjust their message accordingly. Purchases like concert tickets benefit more from the “time spent” messaging, whereas expensive designer jeans are aided by the reminders of money and prestige. If you go about it the wrong way, chest thumping about low prices can grant you a one-way ticket to abysmal sales. According to research from Stanford, the act of comparative pricing can cause unintended effects in consumer evaluations if there is no context for why prices should be compared. An example of a brand that does give a good reason to make a price comparison is Esurance. They explain why cheap insurance isn’t always the answer and give customers plenty of insightful information on how they lower prices the right way—by eliminating needless expenses through their online-only approach. The focus should be on why prices are cheaper, not just that they are. Is there ever a time that one Budweiser is worth more than another? Logic would dictate that this answer be “no,” but bar hoppers know that just isn’t the case. Where you buy is just as important as what you buy. In a Vanderbilt University study published in the New York Times Magazine, customers were willing to pay higher prices for a Budweiser if they knew it was coming from an upscale hotel versus a run-down grocery store. According to economist Richard Thaler, it was context that had the effect here. The perceived prestige of the upscale hotel allowed it to get away with charging higher prices. It struck subjects as unfair to pay the same. This is why people will pay more for a “multimedia course” over an eBook, even if the information offered is exactly the same. You need to provide potential customers with subtle cues (creating company authority with smart copy and social proof) that justify your premium prices, because perception goes a long way toward influencing their evaluation of your prices. Could you be hacking and slashing away at your own profits just because you aren’t offering enough pricing options? According to William Poundstone, author of the book Priceless: The Myth of Fair Value, it’s very likely that this is the case. In his book, Poundstone examines the purchasing patterns of consumers on a selection of beer (yet another study about beer!). In the first test, there were only two options available: a regular option and a premium option. Four out of five people chose the more popular premium option. But could adding a third item and price point increase revenue by targeting those looking for a cheaper option? The researchers tested this by adding a $1.60 beer to the menu. Oh no! The cheap beer was ignored and it upended the ratio of standard to premium purchases. This was clearly the wrong choice, since in this instance anchoring is actually playing a negative role. If customers don’t want a cheaper beer, perhaps a more expensive beer might work? These examples clearly show important it is to test out different brackets of pricing. This is especially true if you believe you may be undercharging. Some customers are always going to want the most expensive option, so adding a super-premium price will give them that option and will make your other prices look better by comparison. Let’s end with the silliest study on pricing ever! In a research paper published in the Journal of Consumer Psychology, researchers found that prices that contained more syllables seemed drastically higher to consumers. … the top two prices seemed far higher to consumers than the third price. This effect occurs because of the way one would express the number verbally: “One thousand four hundred and ninety-nine,” for the comma versions versus “fourteen ninety-nine” for the unpunctuated version. This effect even occurs when the number is evaluated internally, or not spoken aloud. As goofy as this may seem, there are some important implications. You should make a sincere effort to avoid all unnecessary additions to your pricing structure, giving priority to the simplest style possible. 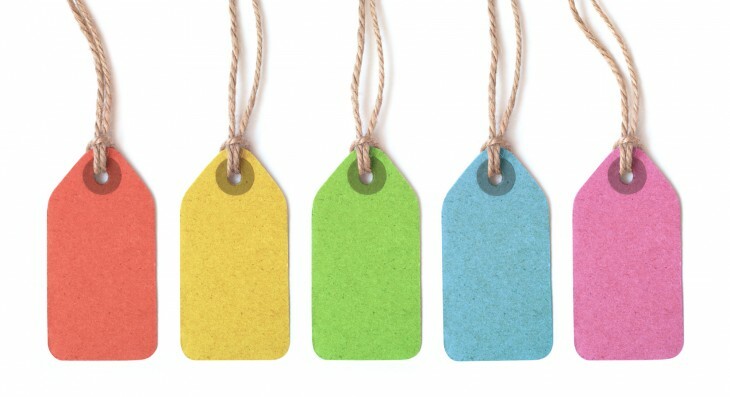 Did any of these pricing strategies or research studies surprise you? Let us know by leaving a comment!